Please remember – school is closed on Monday 18 June for the Tuen Ng Festival. Have a relaxing long weekend and fathers, enjoy your special day on Sunday. This edition of the newsletter has a distinct technology feel. There have been a number of recent events and developments in school which have highlighted the importance of the responsible use of technology as an effective communication tool. 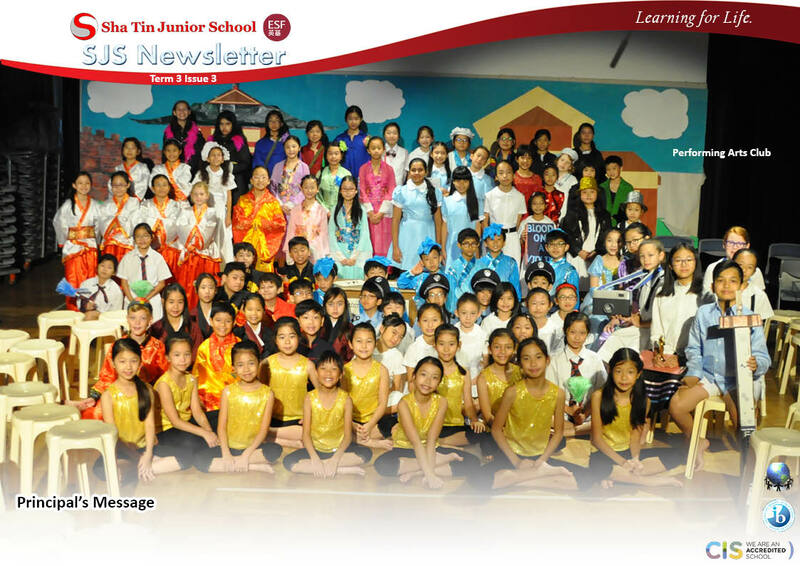 Highlighted in this newsletter is the launch of the SJS mobile app. This app has the useful function of pulling together, under one icon, shortcuts to the most useful school information sites. Instructions for downloading the app onto your mobile device are outlined. Please have a look at the app and pass on any feedback. Congratulations to our dedicated and enthusiastic team of Year 4 students who, with the support of Mr Haworth and Mr Chu, have been creating the content for our contribution to Google Street View. Click on the link to take a virtual tour of the school. I can’t wait to see the developments planned by the team. Many thanks to the large number of parents who came along to the Learning Technologies workshop this morning. The information can be found by accessing this link (goo.gl/jdysmL). I hope you found the discussions around the positive and negative impacts of technology for our children of use. I only wish similar evidence and advice was available when my children were moving through primary to secondary school! Thanks also go to the parents present for the extremely useful feedback received around the effectiveness of the system we use to report to you on your child’s progress at school. The comments will help us refine the system moving forward. Thanks to Mr Haworth and Mrs Stears for organising and presenting the workshop. Well done to the cast, musical support and backstage crew, who together comprise the Performing Arts Club, for the hugely successful performance of “2B or not 2B’ last night. The professionalism shown by the musicians, the dancers, the sound and lighting technicians and the set, costume and programme design teams was integral in supporting the actors on stage in a wonderful performance. The confidence, humour and sense of enjoyment shown by all was a feature of the performance. As always, we are indebted to Ms Jamal and her fellow staff members for giving of their time and expertise to support the children. It was with a sense of disappointment that we were forced to cancel the ECO Day activities planned for last Friday. However, our worst fears were realised and the poor weather would have made for a miserable and potentially dangerous walk to school. We are looking to rearrange the day in late September/early October, when (hopefully) we can rely upon more stable weather. I look forward to meeting up with the Year 2 parents next Friday when the students will be hosting the final Learning Journey of the year. The children are very excited and eager to share their learning. I would like to give a special mention to the students who took part in Tournament of Minds at the start of the month. And huge well done to the winning team. You may subscribe to our SJS Calendar for the latest updates. This school year ends at 11.45am on Friday 29 June. Sha Tin Junior has its own app. The app contains shortcuts to all your favourite and most useful places. In the future there will also be a parent login so you can access all the information about your child at a glance. If you would like to download the app on Android or iOS, search for ESF Mobile VLE on the Play Store or iTunes Store. Once you have downloaded the app you can select Sha Tin Junior School. Download today! We value your feedback. If you have any feedback regarding the app or what is missing then email James Haworth. 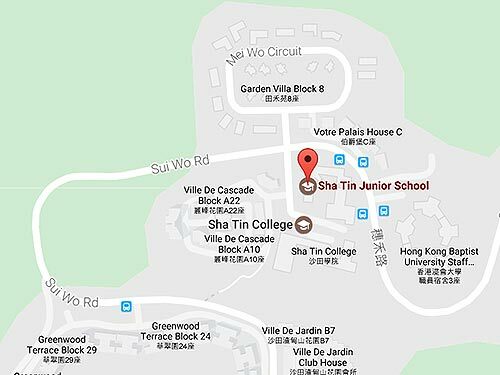 Google Street View - Sha Tin Junior School is on the map! We are on Google Street View thanks to a team of Year 4 students who have been learning about creating content. Jun (4.5), Justin (4.2), Wesley (4.3), Brandan (4.4) and Jacquie (4.5), with the support of Mr Chu and Mr Haworth, they have been learning about 360 photography, how to activate the camera remotely, how to vet photographs before uploading them to Street View. We have started with the main playground but they are ambitious and want to add more areas in school. Watch this space! If you would like to take a virtual tour of SJS from the comfort of your own device then click here. This group of students won the ‘Tournament of the Minds’ category for social studies at the Hong Kong Finals which took place at SJS on 2nd June.